Welcome to the Mississippi Journey! 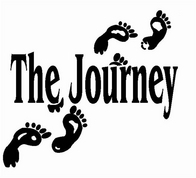 The Journey is a spiritual life experience for college age young adults and other adults who wish to be involved with the spiritual growth of young adults. The Journey is offered two weekends a year, once in November, and once in February. During the weekend, there will be an opportunity for spiritual growth, prayer, food, singing, and plenty of God to go around for everyone. Most of the sessions are led by college age young adults. The Journey begins on 6 PM Friday, and lasts until around 4 PM Sunday. Yes, it costs $50, which can be cash or check (made out to The Journey). There are scholarships available upon request. Young adults from 18-25 are the main focus of The Journey, though there are several adult positions available as well! All college age students (whether enrolled or not) are welcome!! Who else will be there? Other students around the state from MSU, Ole Miss, USM, Millsaps, MC, Belhaven, and other schools will be there. Also, those who either just finished college or are sitting out for a time will also be attending. It doesn't matter, they are all welcome! The Purpose of the Journey is to promote spiritual growth among those attending and to create a community of Christian believers at college campus’s around the state to lift each other up and hold each other accountable through these very important years of a person’s life.